Whether you want to empower launch of promotion, marketing campaign or any product Micro Site will make it successful. 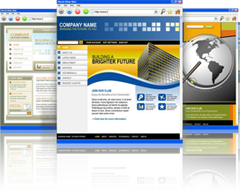 It is not a company’s complete site, but a separate one which is especially designed to serve single function. Thus, it is quite helpful in eliminating the distractions and clutter that usually comes with a complete site. If you are planning to promote any specific campaign let us help you by providing Micro Site solutions. Blue Swami Media will create a micro website as per the specific marketing or brand campaigns. With the help of this service, you can effectively generate new leads and improve brand value. Focus on single function- We create a portal which highly emphasis on single topic or product. It carries all sorts of information about the product. Address message- Our professionals designs and develops it in order to address all information and message to target users. Moreover, it helps in increasing brand awareness among customers or other users. Creativity and interactive- We design it by using creative skills as well as latest software too.You will be provided with the fully customized one having all concise multi-media functions that increases its interactivity. Thus, creative and interactive portal grabs more users’ attention. Our company serves different businesses and their specific needs by providing fully customized solutions. To make your marketing and branding campaigns successful, feel free to contact us. We provide you latest and innovative services. For designing and developing every microsite, we create individual strategy or tactics. If you would like to grab more information about this service, do call us. Our representatives will give complete support to you.